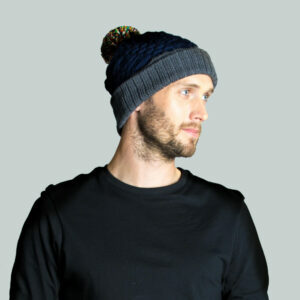 We’ve selected a dark navy blue to contrast with the charcoal grey rib on this flame hat. 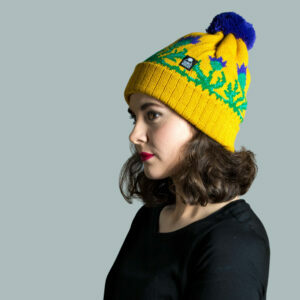 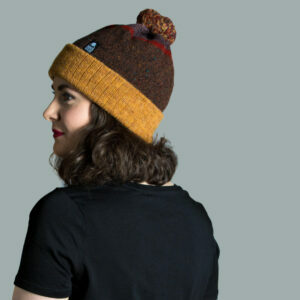 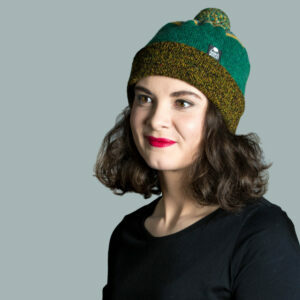 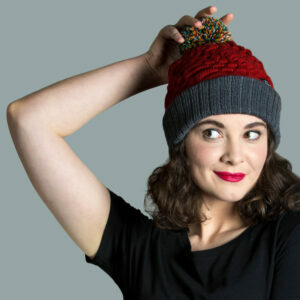 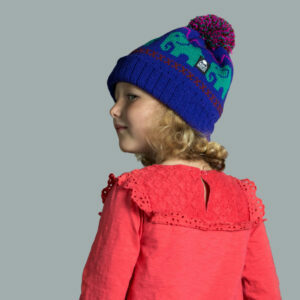 Using 8 different colours in the pompom adds a vibrant pop to the top of this hat. 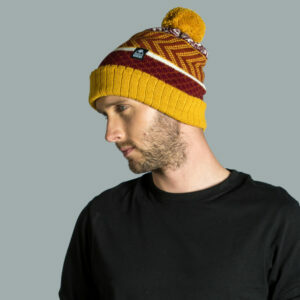 The ribbed roll up adds extra stretch and warmth to the hat, if worn without rolling up it will fit in a slouchy style. 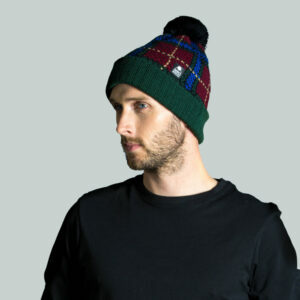 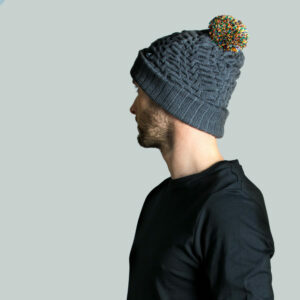 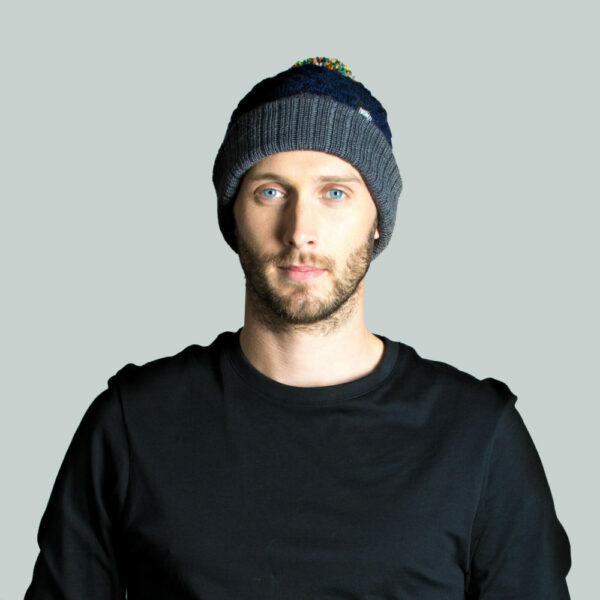 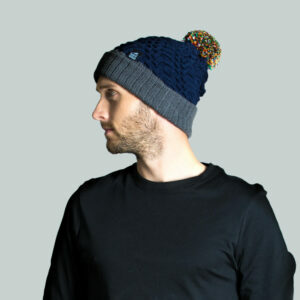 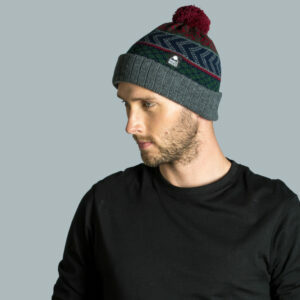 This unique knitted hat has deep folds of wool which add extra comfort to the fit. 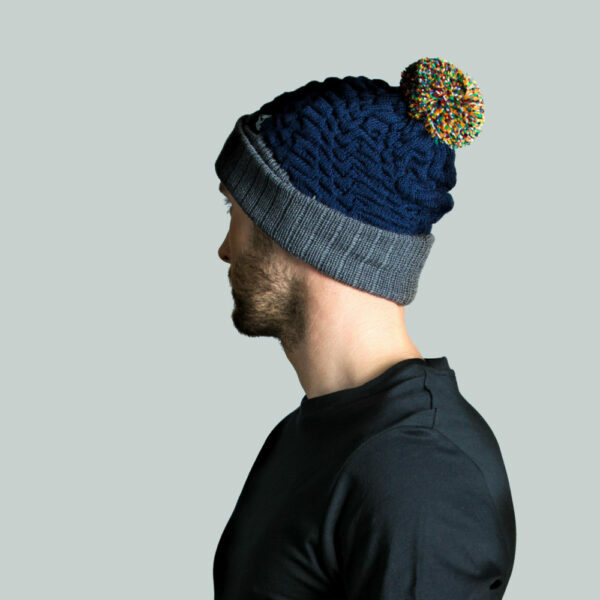 As merino wool is a natural breathable fibre, it is well suited to active wear.